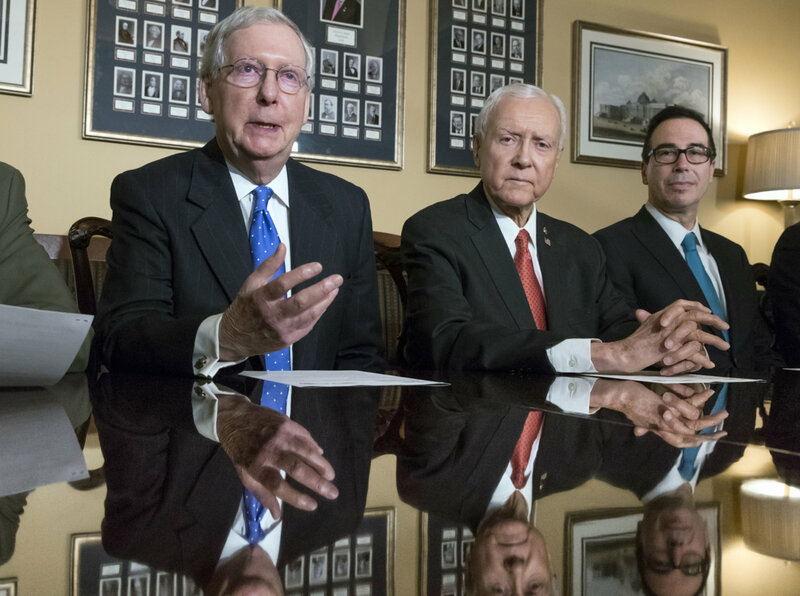 ST. GEORGE – Sen. Orrin Hatch, R-Utah, rolled out a plan to reform the nation’s tax code Thursday that he says will save middle-class families up to $1,500 annually. An independent analysis of the plan also claims it will grow the economy and create nearly one million jobs. “The Tax Cuts and Jobs Act will bring our outdated tax code into the 21st century and provide much-needed tax relief for hardworking American families and small businesses,” Hatch said in a short video posted Thursday on YouTube. Hatch, chairman of the Senate Finance Committee, said passing tax reform is more important than ever and that the cost of doing nothing would be too much for the American people to bear. On the Senate floor speaking on the Senate GOP’s tax-reform plan, Hatch noted the last time there had been a major overhaul of the tax code was 1986. The code needed to be reformed due to being outdated, and the same is true today, he said, adding the tax code has not kept up with the advances of the last 30 years. According an analysis of the tax overhaul plan released Friday by the Tax Foundation, an independent tax policy nonprofit group, it would grow the economy by 3.7 percent, increase wages by 2.9 percent and create nearly 1 million new jobs. While extolling the benefits the Senate tax plan could have for the middle class, Hatch also said all parties should come together and support tax relief for the American people. For a middle class family of four, that tax relief is estimated to be around $1,500 a year, according to Hatch’s office. The plan also involves lowering individual tax rates for low- and middle-income Americans by expanding the zero tax bracket and maintaining a 10 percent bracket, allowing taxpayers to keep more money and save for retirement. 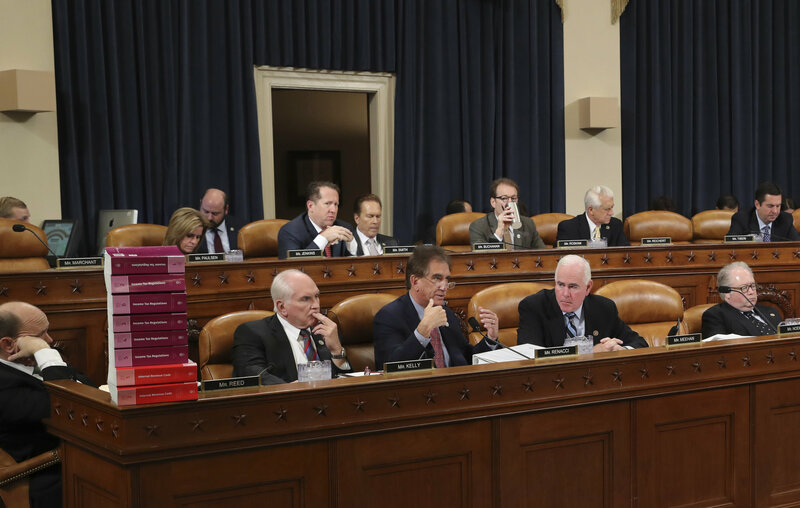 The bill also includes a reformed rate structure that targets tax relief to the middle class while maintaining the existing tax distribution, and a 38.5 percent bracket for high-income earners. The child tax credit also goes from from $1,000 to $1,650 under the proposed plan. “We have an historic opportunity to help, and that opportunity should not be squashed by anyone on either side of the aisle for cheap political points,” the senator said. As likely expected, facets of the plan have drawn objections from both Democrats and other Republicans. The bill puts a one-year delay on lowering the corporate tax rate from 35 percent to 20 percent. Delaying that reduction would lower the cost of the bill to the Treasury, but the delay is opposed by the White House and some Senate Republicans. 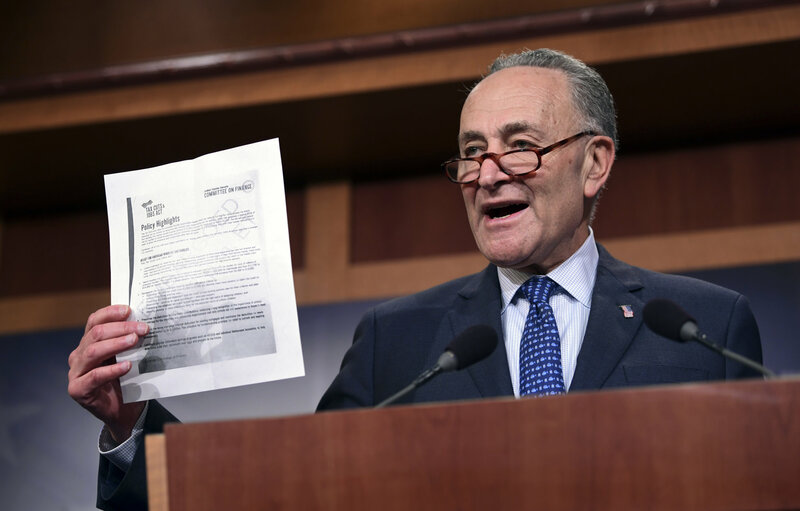 Other obstacles remain, among them a band of deficit hawks in the Senate who are unhappy about the $1.5 trillion the legislation would add to the national debt over the coming decade. Democrats are strongly opposed to the GOP rewrite, so the Republicans must find agreement among themselves to have any hope of passage. Other aspects of the Tax Cuts and Jobs Act proposes to do, according to Hatch’s office, include nearly doubling the standard deduction from $6,350 to $12,000 for individuals and from $12,700 to $24,000 for married couples. For single parents, the standard deduction will increase from $9,300 to $18,000. In addition to expanding the child tax credit from $1,000 to $1,650, it would allow many more parents to claim the credit by substantially lifting caps. Allow parents to more effectively save for the education costs of unborn children. The act would also preserve the deduction for charitable contributions; protect the home mortgage interest deduction for existing mortgages and maintain the deduction for newly purchased homes up to $1 million; and continue popular retirement savings programs, such as 401(k)s and Individual Retirement Accounts. Associated Press reporters ANDREW TAYLOR and MARCY GORDON contributed to this story. Wow, what a deficit builder. And no more deducting medical expenses, state income taxes and local property taxes. The Senate version needs much work. While many would pay less taxes, many would pay more. Elimination of SALT and property tax deductions is a killer for many. And it would increase the number of workers who don’t pay any federal income taxes, who don’t have any skin in the game. While child, daycare and adoption tax credits sound good, why are we catering to certain portions of our society? Either get rid of all deductions and tax credits, or retain them all. Personally, if we can’t go to a flat tax system, then just reduce each of the current marginal tax rates and retain all deductions and tax credits. Keep it simple. Senator Hatch fails to mention that the Senate (& House) plan eliminates the individual exemptions. As for any concerned with increasing the deficit, government spending needs to be cut. While congress seems focused on reducing taxes (sorely needed), they are doing nothing (zero) to address the out of control spending. At the end of the day, IF congress is able to pass any bill, it will likely not be of any significant benefit and will hurt many in the middle class. No one is talking about dumping the whole tax structure and replace it with a simple VAT. The more you spend, the more in taxes you would pay. No exemptions, no write offs, no deductions. When a transaction takes place a percentage goes to run government. Once we all see what government spending is costing each of us, the outcry for real cuts could not be ignored. Can’t be done you say? I would say it must be done! The lobbyist and special interest are pulling all the strings now and we are $20+ trillion in debt. Take a look at this http://www.usdebtclock.org and tell me how we can’t make real changes. 1. While the nominal Federal Corporate Tax Rate may start at 35%, because of decades of special interest pressure, there are so many exemptions and credits that very few American companies pay 35%. The effective tax rate, depending on how you weight it is in the mid-20s. It is still too early to tell exactly what is in these legislative packages, but undoubtedly they will target a 20% rate, which might also wipe out some of these special interest exemptions. We can only hope…..Keep in mind that Apple, Cisco, etc. will continue to have a significant incentive to keep their off-shore profits, off-shore, because of exceptionally low tax rate countries like Ireland. The one-time “amnesty” for these American corporations to bring their cash hordes back to the U.S. will be a one time occurrence. However, if you observe their businesses, they certainly have not suffered from insufficient capital to invest. They have been very successful, while accumulating billions of dollars of profits overseas. Point is, don’t expect some huge economic impact from bringing these dollars back to the U.S.
2. Not that the O-bama administration was exempt from telling half-truths, or outright lies, it is particularly disturbing to hear the blatant lies coming from this administration’s senior economic advisors and treasury officials. The legislation will get some refinements in the coming weeks, but an objective evaluation, by folks with the intellectual integrity to make an assessment, is bound to reveal a huge windfall to the 1%, in terms of income tax relief, and estate tax exemptions, and perpetuation of the “carried interest” scam enjoyed by the hedge fund elites. Eliminating the AMT is another windfall for wealthy taxpayers, who had already exhausted the value of their itemized deductions. I am sure every voter would support simplification of our nation’s corporate tax code, but don’t expect some huge economic benefit, unless you are a shareholder. Manufacturing jobs (repetitive and well-defined tasks) left the U.S. for cost reasons, and will unlikely ever come back, without creating trade barriers and tariffs. Globalization is a force we will never overcome. One change that needs to be made is to do away with the Foreign Tax Credit. Any taxes that a company pays to a foreign country would be nothing more than a deduction. Right now, there is no incentive for a company to persuade a foreign government to reduce, or eliminate, taxes paid by that company. The only way a company can operate in a foreign country is if they can provide a service or product that the locals can’t. That means that that foreign country would be willing to make all kinds of concessions and forgiving taxes would be one of them. Dont let this tax PR article fool you. This bill is a pay off for rich donors, taking $1.5 trillion from medicaid and $500 billion from medicare. Tnere are so many families in Utah it will hurt. While they blow about a standard deduction thats doubled, they take away personal exemptions of $4k each and disallow many itemized deductions. Its really NOT the big break they say. Example: for a married couple without children, $24k SD is actually $16k ($24 – $8 = $16). Many married couples can now deduct more than $16k in itemized deductions, but since this bill no longer allows for itemizing mortgage, medical, state and local, etc. most will have to rely on the standard deduction to calculate their taxes. AND “Jobs”? We are at an all time low in unemployment, ever. We dont need jobs, WE NEED HIGHER WAGES and we all know how trickle down has worked in the past. Unless you have a skill you can use as leverage for higher wages, you are at the mercy of the company. It can fire at will in Utah. Besides who works for a big corporation here in rural Utah? Not many.